Jail is no joke. When a person is arrested, they are locked away in a concrete cell behind a cold steel door. From that moment on, until their eventual release, their entire live within the walls of the jail are dictated to them. Being stuck behind bars is a miserable experience, especially compared to the freedom of being at home with family. Here at Bail Bonds in Porterville, we always take arrests seriously, no matter what day of the year it is. You can call us on any day, even April 1st, and we will begin helping you right away because our agents are available all day, every day of the year. As soon as you learn of a loved one’s arrest, you can contact us and we will help you get past this not so funny joke. Once you begin talking with an agent, they will start guiding you through the process of rescuing your friend or family member from jail. Of course, to get started they are going to need a little bit of information about your loved one first. Primarily, our agents will need your loved one’s name, birthday, and county of arrest. Once all of the required information has been collected, our agents will locate your loved one in the jail system and finish filling out the paperwork. After that has been completed, all that is left to do is for you to sign the paperwork, which can be done online. In fact, the entire bail bond process can be completed from the comfort of your own home. If you have questions about the bail bond process, you can ask them at any point. We understand how scary and confusing bail can be to those who have never dealt with it before. Due to this fact, we will be more than happy to answer all of your questions about bail so that you feel more at ease with the entire process. 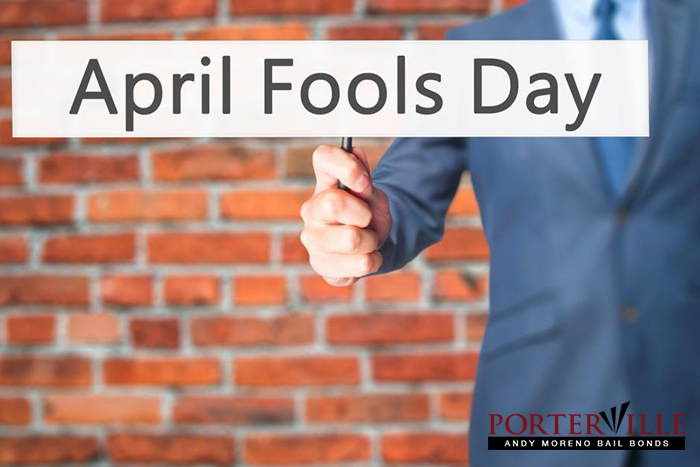 April 1st is a day for harmless pranks, but a loved one’s arrest is never funny. If you have a friend or family member who was recently arrested, you can help them escape that horrible joke. With our expert help, your loved one will be out of jail in no time, even on a holiday. You can talk to a bail agent at any time by calling 559-784-8660 or by clicking Chat With Us now.